Finally, the day has come after 3 years of writing content, making videos and making people aware of the Ebiz scam which was showing the fake dreams of becoming overnight millionaires via MLM, the police have raided Ebiz house in Noida, shut down their bank accounts and arrested the owners. What I started as a joke to tease a few friends turned out to be something big, super duper happy today, thank you Amit Kamble jee for the support overtime and all the friends who went on air with me against this ebiz scam in India. Next mission is to stop Kanwizz and all the other MLM scams who targets youngsters. For details, visit TOI here. For my video on it, click here. 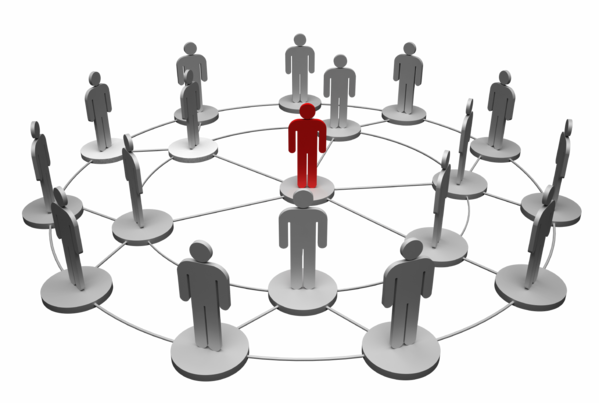 Multi-Level Marketing or MLM has gained quite a popularity as well as fame in the recent years. The people get attracted to MLM companies in the hopes of getting rich in a short time. It’s not people’s fault to comprehend MLM in such manner. The MLM companies sell dreams to people than quality products, and it is the reason why people get attracted to MLM schemes. So what this MLM is all about? MLM is also known as Referral Marketing or Network Marketing. Indian people know it by the more general term i.e. Chain Marketing. MLM works on the principal of network or the chain system to be achieved by the independent marketers aka the members of this chain system. MLM promises to share/pay a specified sum of money to its members if they sell the products to a certain number of people in a given time frame. They are promised to get their share of income when their subscribed members further grow the network. When these growth-members additionally introduce/add new members, all the previous members get their share of the money. Theoretically, the MLM infrastructure is not harmful or illegal in any sort, but practically it is designed in a way that benefits a very few MLM top level members and company owners/shareholders. The intermediate and lower level MLM members mostly invest their own money in marketing/promoting the MLM scheme further in hopes that they will eventually make big money just like the top-level MLM members. How does MLM companies actually work? The MLM hierarchy is also sometimes referred to as Pyramid Marketing. The company introduces the product, which is exceptionally heavily priced for its quality, to first few customers. MLM companies promise these people to gain heavy commissions or percentage if they make members further by introducing the product or the scheme. These newly appended members, when further makes members gain boosted revenues. The image below depicts the modus-operandi of a typical MLM Pyramid Scheme. Is MLM model legal in India? In a broad sense of understanding, MLM is legal in India. As said earlier, theoretically MLM is legal, but the way it is implemented makes it illegal. 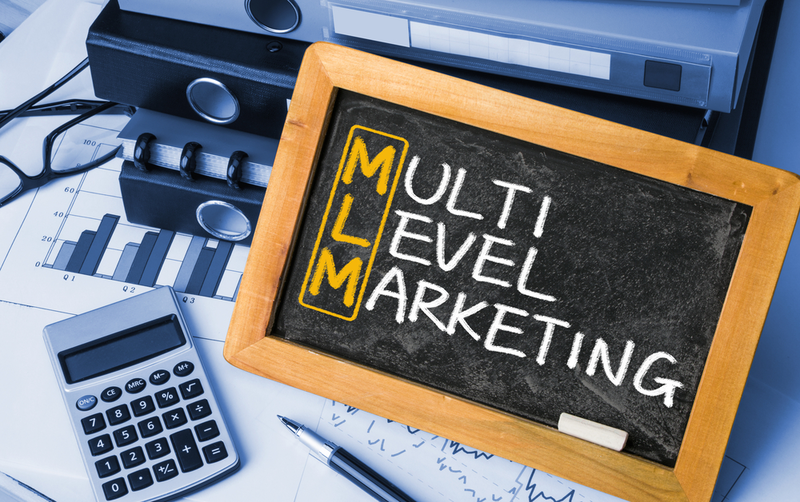 MLM model is put in place by companies to leverage their customer base within a very short time while reducing the marketing and advertising costs. It is the members of the scheme who advertise the company’s product (if there is at all) by the word-of-mouth marketing and referrals. About marketing/promoting a real product that people really like. It is a form of viral marketing. It’s a kind of marketing to leverage the sales and, in turn, the company as a whole using common people (members) as advertisers/promoters. .MLM is utilised by the businesses that want to gain a huge customer base in ridiculously short time along with saving on huge marketing costs. Various MLM companies like eBiz, Herbalife, Amway, QNET have manipulated the MLM model to sell million-dollar opportunities rather than selling the product. MLM is generally used by the company who does not want to invest in traditional marketing and have the heavily priced or unusable product. MLM companies promote the model as the income opportunity to its members. But in reality, most members does not earn any revenue at all; rather they barely recover their own. Legal authorities and RBI have publicly warned and prohibited people from investing in MLM giants like Amway, Herbalife, ebiz and QNET. Every financial year millions of people, from all parts of India fall prey to mental depression. They succumb to failure as they have invested huge sum or their life’s savings in MLM models. The legal procedures take ages to get them their money back. Still, people with dreams of having the opportunity to cash on, invest the money or become a part of MLM chains and finally lose the money. MLM members or participants are not on job contract with the companies. They do not have any fixed payroll nor do they receive any employee benefits except commissions for growing the business. Whatever the members earn is from the commission they get to expand the network. Hence, the MLM members cannot demand the rights like that of legally hired employees. It also gets difficult for the legal authorities to protect the members if the need arises. It acts as a loophole for an MLM to manipulate the members/participants at its own will. 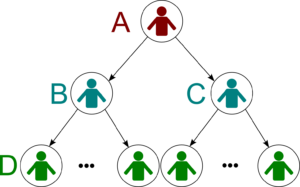 MLM companies reserve the right to deny the commissions to its members if they fail to complete the chain scheme in the given time or the given fashion. Commission being the sole source of income in MLM model the members loses their money rather than earning through it. The majority of MLM participants never make any money from MLM models. They invest their hard-earned income in it in hoping to gain the revenues like the top level MLM members. When they fail hardly in it, they seek legal guidance or try to sue the MLM Company. As said earlier, the MLM participants are not legally hired employees. Hence they end up losing their investment a hard way. The loopholes present in legal system also work as a facilitator to encourage MLM based companies in India. But a recent development in this field has been a ray of hope for MLM members who have invested huge money and time in this model. Some MLM models ask you to make big investments in purchasing their products that you can resell to other people. If the MLM business acts this way, it’s wise to stay away because that is how they are making money. MLM scam models require you to sell their magic products. In the real world, there is nothing as a magic product. It’s a definite hint of scam because if the products are so great MLMs can sell it themselves. They won’t need you to sell them. Again, if the company is way too concerned to recruit you or others as dealers or distributors, it is the clear sign of a scam. They want you to sell their products and in turn, earn for themselves. I have given the major hints above to spot MLM scams. There are various other signs which can indicate you very clearly whether the MLM model is a scam. Carefully go through the model’s marketing terms before investing in them. Regular criticism always surrounds the majority of the businesses that adapt MLM model. On a global level as well as India level such companies frequently face legal trials to gobbling up investors’/members’ promised commissions. Controversies always surround the brand Amway world over. As the brand operates its MLM business in over 90 countries, it has invested huge amounts of money in India too. It has invested more than 600 Crores in the Indian market. But the sole emphasis of the company is to appoint you as a Distributor for their products (prices for which are very high as per their quality). They put a great emphasis to invest heavily in their product inventory and force you to make further distributors to gain boosted revenues. In fact, most Amway distributors lose money rather than making any!! The so-called Amway Distributors need to spend heavily in purchasing glossy pamphlets, content material and marketing stuff. They must also attend weekly or monthly Amway meetings/seminars. It’s the hard truth which people generally realise after they lose massive amounts in this MLM model. Herbalife is yet another example of MLM Pyramid scam. The company emphasised, again, on recruiting people as its distributor. It does not focus primarily on product quality. The company boasts to have spent multi-million dollars on R&D for their herbal nutrient products. But the bitter truth is the products are mere generic nutrients available for much lesser prices in the market. Herbalife promises its target customers by selling dreams. Dream, that they could be next entrepreneur with minimal investment. Herbalife claims that it is not the MLM Pyramid model as it would have collapsed until now it were the one. But the in-depth study reveals that bigger MLMs need much more time to collapse than their smaller counterparts. A lot of people have lost their hard-earned money in being Herbalife Distributor and selling its overly hyped herbal nutrients supplement products. eBiz is yet another MLM scam model operating in India. The company operates in India to promote its old products and packages. It’s an online learning plan. eBiz asks it’s members to join various programs for learning basic computer skills. In return of registration fee or enrollment fee, you are provided with the outdated computer courses which are way far behind the current world of technology. Additionally, eBiz offers its customers with various gift packages with very high prices. These gift packages include (premium) suit lengths, hotel accommodations and office supplies like wrist watches, cufflinks, ties and belts. The scam is ever present in eBiz whether you opt for its educational packages (which are outdated and non-certified) or its gift packages (which are hyper priced for its quality). eBiz also issues online certificates to its members to clear the tests. 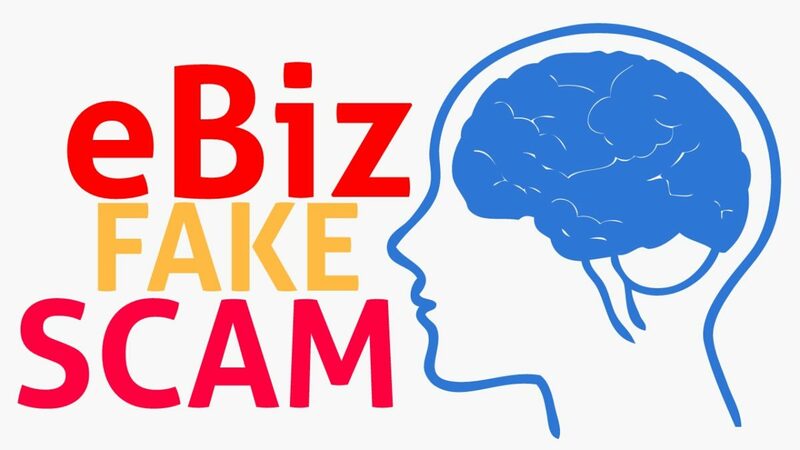 Now, eBiz haven’t registered itself with any real university or distant learning programs which mean that the educational certificates provided by eBiz indicate a scam. The certificate does not hold any value in the eyes of real-world recruiters. Recruiters may even legally penalise you attempting to produce fake educational certificates!! The same applies for eBiz’s gift packages. The hotel accommodation scheme is also a scam as eBiz doesn’t cover travelling expenses or lunch-dinner for the hotel stays. That’s the reason even present eBizers are straying away from the company. MLM companies like eBiz gained momentum in India owing to loopholes present in Indian acts for businesses. But recently the Indian Government has put forth the strict regulations to curb out such money rotating Pyramidal MLM schemes. You will have a fair idea of these regulations in the following part of this discussion. There are thousands of other MLM companies operating specifically in urban and rural areas of India. These people are least aware of the fraudulent practices MLM models are implementing. The only cure for these companies is to educate more and more people on a national level so that they don’t fall prey to lures placed by such MLM players. Thankfully Indian Government has placed new guidelines to control direct selling companies like Amway and various other MLM models to protect the investors/members. The Government has forbidden these companies from exaggerating the profit potentials and charging fees of any kind from their agents. The Indian Government has also ensured to monitor the activities of MLM companies for any fraudulent activities imparted to its resellers/agents/members/distributors. The Government wants to promote and grow direct selling opportunities in India without hurting investors’ money. It is ready to put forward mandated rules for the same if required. You can have a more enhanced insight on it through the link provided. As of now, all the MLM model companies seem to welcome the guideline put forth. It is of much significance how the situation develops once the rules are in place. Issuing guidelines is clear indication that the Government is well aware of the risks and scams these MLM Pyramid models are creating with nation’s people. It would be interesting to keep a close watch on future developments in this field. As of now, the possibilities of ‘bright future’ through MLM model are almost nil. With new Government regulations in place and people awareness, it will be interesting to watch how the situation develops further. Along with the guidelines to protect people’s invested money in MLM networks, there must also be a directive to monitor the quality of products these MLM models are selling. As discussed earlier, almost all the products promoted through this channel are overly priced on the name of R&D or exceptional quality which is just a myth. I hope to shed enough light on current MLM practices big MLM players are implementing. My efforts will be fruitful if this post reaches prospective MLM targets in time so as to minimise their financial losses. Why do I hate MLM companies? This question has given me sleepless nights, neither I nor anyone in my family has ever been a part of any MLM company. But, few of my good friends lost a lot of their time and money in it. What hurts me the most is MLM companies sell dreams to gullible people with low morale as they are easy targets. That’s what they do, sell dreams. I have no problem with companies who sell products, for example, Amway. Amway has a great set of products that they sell through multi-level marketing, but most companies are not in the business of products or services, they are in the business of selling dreams. Dreams to people who become a target to their false propaganda. This blog is about my battle with MLM companies, I won’t stop till they are all shut down by the Indian government. Author MurtazaPosted on June 4, 2017 April 5, 2019 Categories Learnings, MLMTags ebiz, MLM, multi level marketing1 Comment on Why do I hate MLM companies?